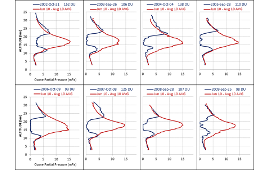 Plots of South Pole ozone profiles as measured by balloon-borne ozonesondes. Keep Track of the Ozone Hole and temperatures compared to historical data. 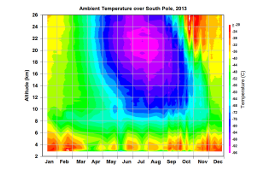 These animations show the development of stratospheric temperatures and the Antarctic ozone hole at the South Pole. The ODGI is an index that relates changes in amounts of ozone depleting gases and the recovery of the stratospheric ozone layer. 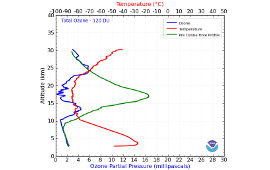 Compare minimum ozone profiles since 1986. A plot of the changes in the springtime minimums of ozone measured by the Dobson spectrophotometer. 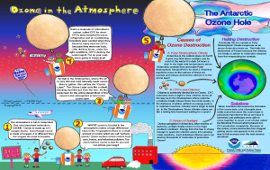 An overview handout for middle school students describing the basics of the ozone layer and ozone depletion. 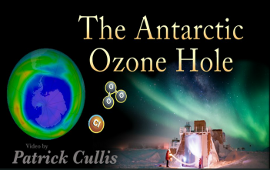 A CIRES/NOAA scientist and videographer has developed a short, educational video that focuses on the causes of the Antarctic ozone hole. 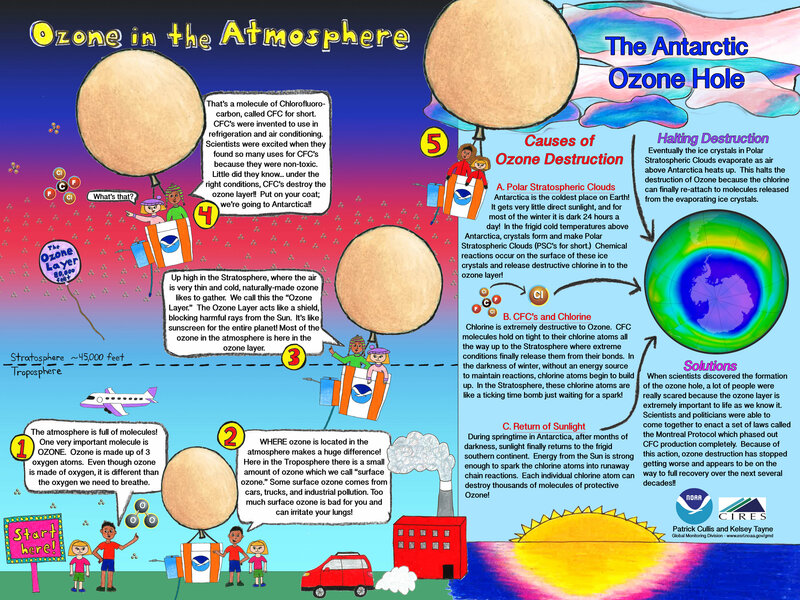 NOAA scientists explain why the ozone hole forms, how NOAA monitors and studies ozone loss, and why it matters. The Antarctic Ozone Hole was discovered by the British Antarctic Survey from data obtained with a Dobson ozone spectrophotometer at Halley Bay station in the 1981-1983 period. They reported the October ozone loss in 1985. Satellite measurements then confirmed that the springtime ozone loss was a continent-wide feature. 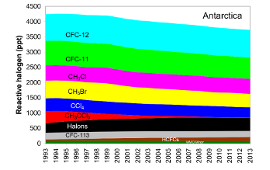 Research conducted during the National Ozone Expeditions to the U.S. McMurdo Station in 1986 and 1987, and NASA stratospheric aircraft flights into the Antarctic region from Chile in 1987 showed conclusively that the ozone loss was related to halogen (chlorine)-catalyzed chemical destruction which takes place following spring sunrise in the Antarctic polar region. The chlorine is derived from manmade chlorofluorocarbons (CFCs) which have migrated to the stratosphere and have been broken down by solar ultraviolet light, freeing chlorine atoms. The cold dark Antarctic winter, with its stratospheric ice clouds mixed with manmade chlorine, sets the stage for springtime chemical ozone destruction when the missing ingredient in the photochemical reactions, sunlight, appears. Owing to Montreal Protocal regulations on the production of certain ozone-destroying, chlorinated compounds, which went into effect in January 1996, the atmospheric concentration of some of these man-made substances has begun to decline (CFC-11 vs. Time Plot and other CFC info). The recovery from the ozone hole is a slow process. In order to easily understand this process, NOAA has developed an index, the Ozone Depleting Gas Index (ODGI), which relates the current ozone measurements to the pre-ozone hole era (circa 1980). The index is calculated directly from observations at Earth's surface of the most abundant long-lived, chlorine and bromine containing gases regulated by the Montreal Protocol (15 individual chemicals). 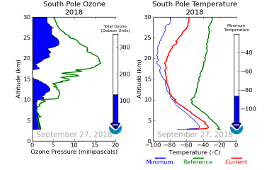 Balloonborne ozone profiles measured at South Pole: blue is the average of several profiles measured in September and October during 1967-1971 before the Antarctic ozone hole; red is on the day of the maximum ozone loss in 2001; green is the lowest total ozone recorded in 1986, the first year of GMD's sounding program at the South Pole. Total column ozone is given in Dobson Units (DU) for each of the profiles. 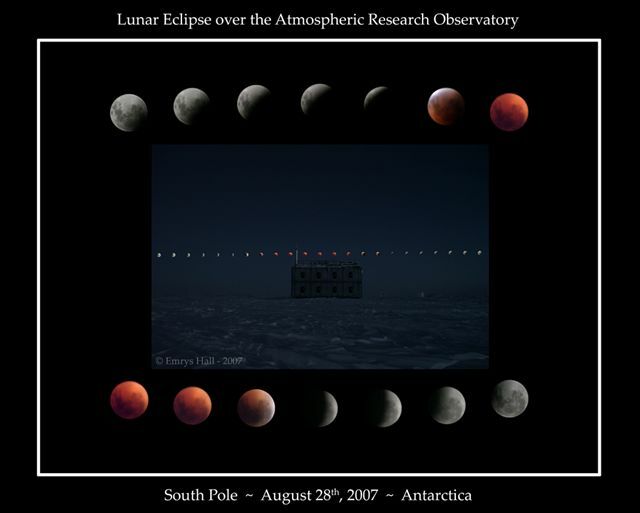 Ozone monitoring by NOAA and its predecessors at the Amundsen-Scott South Pole Station goes back to 1961 when the first Dobson spectrophotometer measurements were made. These measurements are still continuing. Dobson instruments, as well as satellite instruments such as TOMS, measure ozone by detecting the amount of solar ultraviolet radiation able to penetrate through the stratospheric ozone layer. Reduced ozone results in increased ultraviolet (the reason that the ozone layer is important). 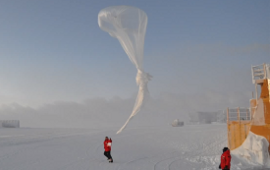 Since these instruments are inoperable at the South Pole during the dark winter, the NOAA GMD began weekly ozone balloon soundings from the South Pole in 1986. 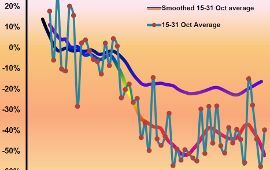 During the austral spring (September to November), the sounding frequency is increased to about 3 per week in an ongoing study of the Antarctic Ozone Hole. These soundings have revealed total destruction of springtime ozone in the 14 to 19 km altitude region of the stratosphere. 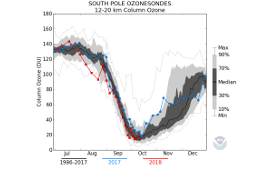 The lowest springtime total ozone measured during the 1986-1997 period at the South Pole was 89 Dobson Units (DU) on October 12, 1993. This may be compared with values of about 300 DU in October 1970.